A hybrid bodybuilding/powerlifting approach can dramatically improve your pec gains while helping you push more weight than ever. Some simple programming changes and an elastic band are all you need! Some bodybuilders might argue that they don’t need to worry about focusing on improving strength because moderate reps have been shown to better build size. To that I say B.S.—and science backs me up. Even if you're focused on purely aesthetics, being able to do every exercise in your routine—from bench presses to cable cross-overs—with greater loads will build more muscle than if you’re doing those same movements for the same reps with lighter weights. History agrees. Many of the best bodybuilders of all time have been powerlifters at one point, and most of the best powerlifters utilize bodybuilding movements. You may have heard the term "powerbuilding" in the past and thought that it was something just for genetic freaks. It's not. If your goal is to get bigger or stronger—either one—you owe it to yourself to get to know this style of training. The idea that strength and size should be different pursuits for different athletes is fairly modern. Back in the day, bodybuilding contests required competitors to perform feats of strength along with their posing routines. Arnold Schwarzenegger's childhood idol, perennial Mr. Universe Reg Park, was far more than just "show," having enough "go" to become one of the first men in the world to bench press 500 pounds. Among his peers he was considered one of the strongest men in the world. But does that hold up in today's research? Aside from empirical evidence researchers have also taken a look at the training differences between bodybuilding and powerlifting to determine which is more linked to greater gains in size or strength, or both. A 2014 study published in the "Journal of Strength and Conditioning Research" compared gains in muscle hypertrophy and strength in well-trained young men. One group performed a powerlifting regimen, the other a bodybuilding one. 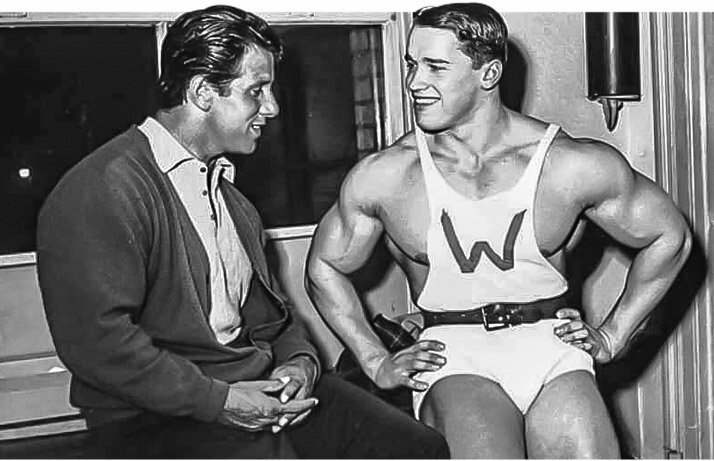 Arnold Schwarzenegger's childhood idol, perennial Mr. Universe Reg Park, was far more than just "show," having enough "go" to become one of the first men in the world to bench press 500 pounds. Among his peers he was considered one of the strongest men in the world. So if your objective is to maximize hypertrophy, does that tell you anything about how you should train? In fact, it does. In fact, I've advocated a powerbuilding approach for both powerlifters and bodybuilders for years and even co-authored a book with Metroflex Gym owner Brian Dobson called "Metroflex Gym Powerbuilding Basics." 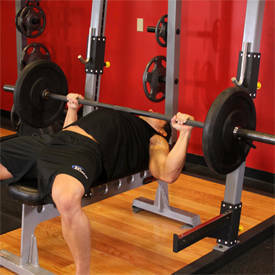 Powerbuilding keeps heavy multijoint exercises at the core of the program and seeks to actively increase strength in the "big lifts" without sacrificing technique. However, it also includes single-joint movements aimed at overloading individual muscles, working weaknesses, reducing the risk of injuries, and putting the polishing touches on a physique that's spring-break ready. Lifting heavy develops large, dense muscles. The heavy pig iron and low reps develop myofibrillar hypertrophy, or hypertrophy of the contractile element of muscle, which increases the muscle’s cross-sectional area. This is why "powerbuilders," or bodybuilders who train core lifts heavy like Dorian Yates and Texas pro Branch Warren, the bodybuilder shown in the exercise videos below, have a rugged, dense, and grainy look when dieted down. Lifting heavy develops large, dense muscles. The heavy pig iron and low reps develop myofibrillar hypertrophy, or hypertrophy of the contractile element of muscle, which increases the muscle’s cross-sectional area. But that's not to say proverbial bodybuilding "pump" training is useless. Higher-rep training instead relies on sarcoplasmic hypertrophy—the accumulation of non-contractile matter such as water, glycogen, and myoglobin, which are stored in the sarcoplasm of the muscle cell. While this type of training will do little to enhance strength, both forms of training will help to maximize your complete physique development. Here's the take home: To maximize the development of muscle, both types of hypertrophy are a necessity, so a variety of exercises, rep ranges, sets, and tempos will compose a workout—with the objective of getting stronger. This is powerbuilding, a truly holistic approach. Since our goal is not the path of least resistance but the path of the best results, we're going back to the heavy, old-school basics, but with some of the latest muscle-building innovations. Don’t expect some kind of conventional, straight-sets approach in which you take every set to 10 reps, because that won’t cut it. Keep in mind this routine is developed for the intermediate to advanced lifter with minimally two years of weight-training experience. If that's you, keep reading. If you’re not ready for this level of intensity yet, come back in a couple of years when you are. Doesn’t include warm-up sets; do as many as you need but never take warm-ups to muscle failure. See notes after routine on pointers for each exercise and load selection. Push-up "Juarez Valley Baker's Dozen"
In a normal bench press, as you push up your leverage improves but the weight stays the same. With the banded bench press, the resistance increases on the way up, much like if you were training with chains on each end of the barbell. Toward the top of the lift, when your leverage is best, more force is required to fully extend your arms. In turn, more muscle fibers are therefore required, which translates into more growth and, of course, greater strength. Use a weight that corresponds to your eight-rep max (8RM) on the bar. So if your max bench is 275 pounds, you’d put 225 on the bar. Pic a band that is equivalent to about 20 percent of the load, in this case between 30-50 pounds. Your goal is to do three reps, but expect the weight on the bar will increase toward your 1RM as you reach full extension. Perform this move with a forward lean so the primary emphasis is placed on the chest, not the triceps. Go as heavy you can on the first two sets; if you can add weight, add as much as possible without compromising your form. Your last set, which is 15 reps, should be done to extend the time under tension with just your body weight. If you’re unable to perform dips, opt for band-assisted dips, using as little assistance as possible. Select a weight with which you can perform 12-15 solid reps. On the first two sets, do this weight for just eight reps, accentuating the negative (lowering portion of the rep) for a full five seconds. Then, from the bottom position, powerfully squeeze the cables together focusing everything on a maximal chest contraction. For the final set, use the same weight for the same cadence, but do it in rest-pause style. To do this, take the set to failure, which should take about eight reps because of the long eccentric, and at failure, rest 20 seconds. Then take the same weight to failure again, followed by another rest interval of 20 seconds. On the final set take the weight to failure and you’re done. One rest-pause set is actually composed of three mini-sets. 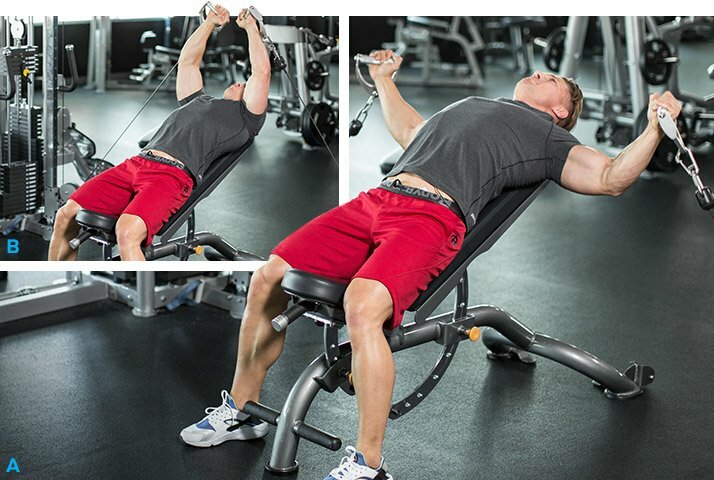 Use a seated chest-press machine, select a weight you can do for 12-15 reps. With this movement, explode the positive portion of the rep as hard as possible. Then use a three-second negative to lower it. Instead of a specific rep target, you’re going to do as many reps as possible in 45 seconds. If you fail before 45 seconds don’t stop, continue with partial reps. If you can longer do partials, just hold the weight statically and squeeze your chest as hard as possible till you reach 45. The Juarez Valley concept is fairly simple: Repetitions are performed in descending order on all odd-numbered sets, but repetitions are performed in ascending order on even-numbered sets. In the middle, they meet! The Juarez Valley concept is fairly simple: Repetitions are performed in descending order on all odd-numbered sets, but repetitions are performed in ascending order on even-numbered sets. A Juarez Valley 13 is performed liked this: Set 1 (13 reps), set 2 (1 rep), set 3 (12 reps), set 4 (2 reps), set 5 (11 reps), set 6 (3 reps), set 7 (10 reps), set 8 (4 reps), set 9 (9 reps), set 10 (5 reps), set 11 (8 reps), set 12 (6 reps), and set 13 (7 reps). Between each set take an 8-foot walk, the equivalent of a jail cell. Perform this as fast as possible and keep track of time. Try to complete faster the next time you do it.